Instagram. It's a cool platform to build a brand, share your creativity and connect with others with similar interests. I check mine several times a day because I am running this blog and like to interact with those who follow my page, like my images and leave me comments or send direct messages. My goal with all of my social media is to share my own creativity and inspire people. There are definitely pros and cons to the different social media platforms, a huge pro being the amount of inspiration to gain daily and a con being the negativity and emotional bullying you often see happening ( a whole other subject in it's own, one that makes me very sad too). For me, it's not about seeing esthetically pleasing images, but being able to really get to know someone and hear about their goals and celebrate their achievements with them. There are hundreds of thousands accounts that offer just that and I discover more and more all of the time. In case you were hoping to find some inspiration, here are some of my favorite accounts to scroll through every day at the moment. These are in no specific order, I love them all equally. Also, to be re-directed to any of their instagram pages, just click on their names. 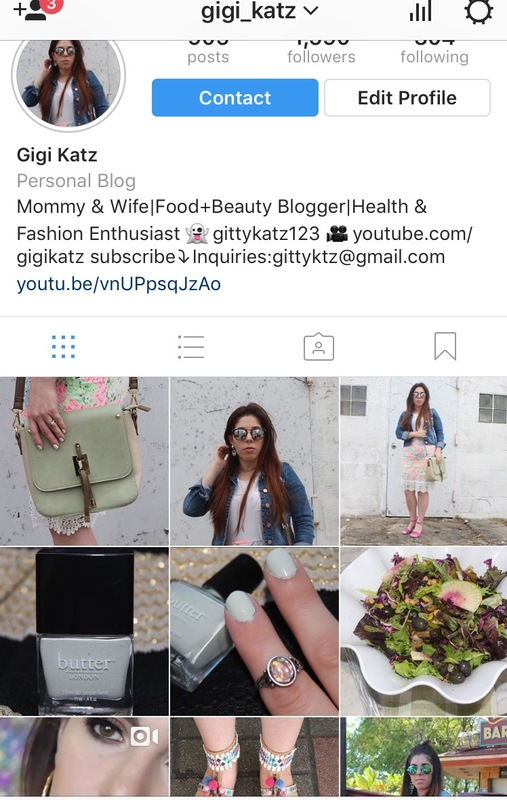 Being genuine is such an important part of having a thriving community around your instagram. Brittany of Loverly Grey has a personality that comes through in her photos, making you feel happy every time you see her gorgeous smile. I love her sense of style which is quite similar to my own with her love for prints, bright colors, statement jewelry etc. She has a wonderful blog which is really easy to navigate and shop from as well. If you have yet to check this Atlanta style bloggers page, you really must! Although I haven't been following Shira Shenberger for as long as the other accounts, I already know that I will be sticking around for the long run. She's quirky and not afraid to be herself. Not only that but she's got real talent and bakes the most beautiful confections from macarons to pastel colored challahs. I love getting to know her adorable family via insta- stories as well, if you could reach through the screen and pinch those kids cheeks you would have to. Jordan Bone was involved in a car accident when she was young and is since a quadriplegic, paralyzed from the chest down. She has gone through so much since but remains a positive inspiration to the world around her through her youtube channel, on her website, and even more recently through her very own book. I've been watching her apply makeup in her tutorials for years now and I am more inspired every day. I'm so excited to read her book titled "My Beautiful Struggle" which is already a best seller on amazon. I discovered Sarah first on youtube through her weekly vlogs showing how she goes about her days living normally like everyone else, going out to eat, spending time with friends but doing all of it mindfully and eating correctly. I am amazed by how well she knows her body and what is best for her to be consuming. The main thing is that she's still enjoying life and having foods she loves but staying lean and working hard to be healthy at the same time. She shares so many tip for accountability, mastering cravings and keeping motivated which really get me thinking and help me in a huge way when I'm feeling a bit blah. If you haven't heard of her, check out her youtube channel and you will see how amazing her personality is! I follow so many interior design accounts because, well I love finding new ideas on decorating my own home which is and has been a work in progress since moving in 4 years ago. What makes Studio Mcgee stand out is the fact that they are a husband and wife owned business that not only design homes but also have a store selling gorgeous pieces to suit any home. I love the clean esthetic of the spaces they create and I also enjoy that they share behind the scenes videos as well as ones with tips on how to decorate certain spaces or how to style specific items. Those are just 5 Instagrammers I have come to really enjoy checking in on daily recently. Which accounts do you find yourself coming back to all the time? Leave my your recommendations, I love seeing them! Also, be sure to follow me on Instagram, my handle is gigi_katz .